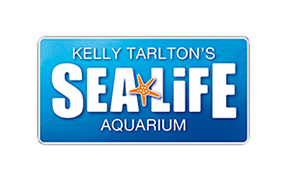 Do you offer Birthday Party Packages at SEA LIFE Kelly Tarlton's? Do I get free entry/discount for a Birthday Party if I am a Merlin Annual Pass holder/Kelly Tarlton's Annual Pass holder? What will be the itinerary for the day? How do I book a birthday party and what are the Terms and Conditions? What happens if a child drops out? Can I make a provisional booking for my Birthday Party? What are the minimum and maximum numbers for a Birthday Party? Can we bring our own Food/Birthday Cake and candles? Can I add extra children/adults on the day of the Birthday Party? Our Birthday Parties must have a minimum of 10 paid children, and includes 3 adults free of charge. The maximum number of guests for birthday parties is 30 people.